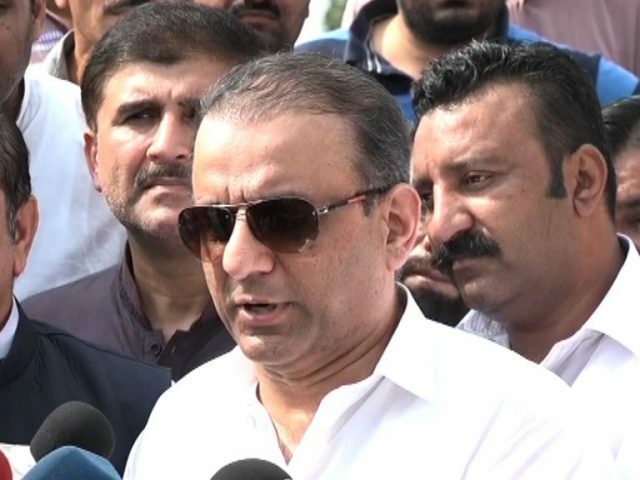 LAHORE: Punjab Senior Minister Abdul Aleem Khan has said that all minorities would be provided with equal opportunities in “new Pakistan” and there would be no discrimination on any basis. Addressing a cake-cutting ceremony held in connection with Christmas at the Mian Mir Colony on Monday, the minister said there will be reserved seats for minorities in the new local bodies system in Punjab and they will also be given an active role in the upcoming days. “Minorities have been at the forefront since the creation of Pakistan and their services to national causes have always been commendable,” he said and added that members of the Christian community sacrificed their lives to safeguard national boundaries. The minister also appreciated the Christians community’s contributions to the struggle of Imran Khan and promised that the Pakistan Tehreek-e-Insaf (PTI) government will return their favours by serving them to the fullest. Bishop Yaqoob Paul, ex-MPAs Shoaib Siddiqui and Aajasam Sharif, PTI leaders Tahir Altaf and Pitras Sadiq were also present. The minister also inspected different sections of the school and said that every person has the right to modern education. “The outgoing government of the Pakistan Muslim League-Nawaz (PML-N) did nothing for education, health and other sectors whereas only selective developmental projects were started for commission purposes,” he said. Raja Shahzad of Labour Wing and Sarwar Sadiq also addressed the gathering and appreciated Abdul Aleem Khans’ efforts for the revamping of the Mian Mir locality.